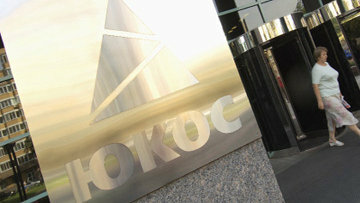 Hague District Court Sets Aside Yukos $50 bln Awards: reasons and consequences | Russian Legal Information Agency (RAPSI). The Hague District Court decided on April 20 to set aside arbitral awards that arbitral tribunals had rendered in 2014 in Hulley Enterprises, Yukos Universal and Veteran Petroleum v the Russian Federation case. The court held that the tribunals had no jurisdiction, since the relevant provisions of the Energy Charter Treaty (EST), the only instrument relied on by the claimants, had not been applicable to the Russian Federation. Ruling of the court will undoubtedly be subject to a detailed analysis and discussion in the days and months to come, as the claimants have already said that they intend to appeal the court’s ruling. In this article we present a short overview of the reasons that led the Hague District Court to set the awards aside and what consequences we can expect from the court’s decision. What are the Hague District Court’s reasons for setting aside the awards? The court focused exclusively on one ground for setting the award aside: the fact that, according to the court, the provisions of the ECT on resolution of investor-state disputes had not applied to Russia. This was the case because, at the time claimants commenced arbitrations, ECT was signed, but not ratified by Russia (it subsequently “withdrew” its signature). The arbitral tribunals decided that this provision permits provisional application of the entire treaty if the laws of the State permit provisional application of treaties. For the arbitrators the key part of the provision were the words: “such provisional application,” that they interpreted to refer to provisional application in general, not provisional application of particular provisions. They also relied on the object and purpose of the ECT, which, according to the tribunals, was inconsistent with testing whether each provision of the ECT individually complies with the national laws of the respective State; such an approach would create too much uncertainty for the investors. The tribunals also relied on some instances from state practice as well as the award in Kardassopoulos v Georgia where the tribunal gave the same interpretation to the relevant provision of the ECT. The court disagreed with the tribunals’ interpretation of the ECT and held that one has to determine whether each individual provision of the ECT complies with Russian law to find whether the respective provision of the ECT applies to Russia. The court focused on two parts of the provision in question. Firstly, Article 45(1) provided that the ECT applied provisionally “to the extent” that in the ordinary meaning of the words means that some provisions of the ECT may apply while others do not. In contrast, the position taken by the tribunals totally excluded the option of partial application. Secondly, the court pointed out that the ECT excludes provisional application, where it is contrary to “regulations” of a State. On the other hand the provisions permitting provisional application of treaties are usually found in constitutions or laws of respective states. Accordingly, the interpretation adopted by the tribunals deprives the reference to regulations of any meaning and cannot be right. In contrast, the interpretation requiring testing of each provision’s compatibility with national law is consistent with both the reference to the regulations and the phrase “to the extent”. The court next turned to whether submission of disputes, such as the one before the tribunals, to arbitration is consistent with Russian law. The claims, according to the court, were filed because of the damages caused by illegal actions of the state authorities. The court concluded that Russian law does not allow submission of such disputes to arbitration. In its analysis the court began with the general principle that under Russian law only private or “civil law” disputes are arbitrable. In determining what is a “civil law” dispute the court followed previous decisions of the Russian Supreme Commercial Court and the Supreme Court that require the decision-maker to look at the nature of the dispute and “concentration of public law elements”. Even though the Russian Civil Code governs liability for damages caused by illegal actions of state organs, the Hague District Court concluded that the nature of such a dispute is a public one. Accordingly, Russian law does not allow for such a dispute to be referred to arbitration. Having established that the provision of the ECT containing state’s offer to submit disputes to arbitration would only apply to Russia if it is consistent with Russian law, and that this provision is, in fact, inconsistent with Russian law, the Hague District Court concluded that the tribunals lacked jurisdiction and set the awards aside. The Russian Federation relied on a number of other grounds for setting the award aside arguing among other things that (1) the alleged investment had been acquired illegally and therefore not covered by the ECT; (2) the claimants were not investors eligible for protection under the ECT since there were controlled by Russian nationals; (3) the tribunal violated its mandate by delegating drafting of almost the entire award to an assistant. While the court did not address these grounds they may well have made it easier for the court to ultimately set the awards aside. What are the consequences of the Hague District Court’s decision? The decision is quite obviously a major victory for the Russian Federation and its legal team. However, the legal battle is not over: the claimants already announced they intend to appeal the court’s ruling in Netherlands. In other jurisdictions the setting aside of the awards may create a major barrier for their enforcement. Under the New York Convention on Recognition and Enforcement of Foreign Arbitral Awards setting aside is an independent ground for refusal to enforce the award in other countries. According to the existing case-law of English and US courts, for example, the court should refuse enforcement if the award was set aside, unless there are extraordinary grounds justifying non-recognition of the decision to set the award aside. It remains to be seen what effect would be given at this stage (given that the decision of the Hague District Court is subject to appeal), but it appears likely that courts may decide to at least suspend enforcement proceedings. In other jurisdictions such as France, however, the position is even less certain, since under their laws the setting aside of an award is not a ground to refuse recognition and enforcement. The decision may also have major impact on three other arbitrations launched by companies, reportedly controlled by Yukos management, against the Russian Federation (Yukos Finance, Luxtona, Financial Performance Holding). Claimants in these arbitrations also rely on the ECT as the only basis for jurisdiction of arbitral tribunals and the arbitration are seated in the Hague. We understand that the tribunals in these cases are now considering whether they have proper jurisdiction for their cases. Decision of the Hague District Court will likely have an impact on their analysis.